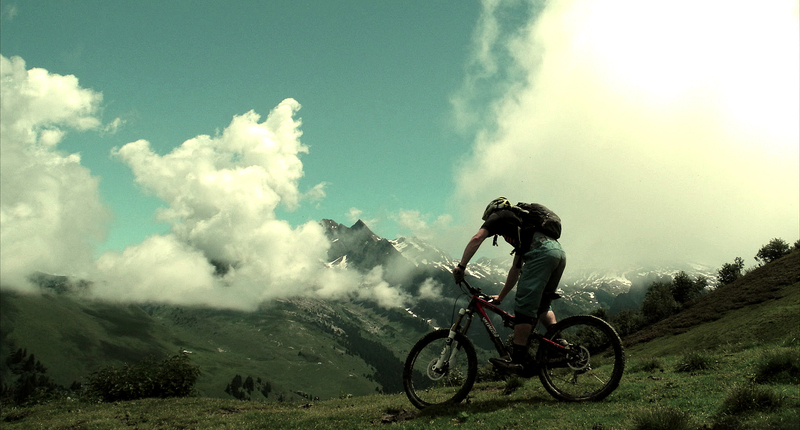 Still on a massive comedown from an amazing weekend’s racing in Samoens we decided to go and explore some of the walking networks in search of new singletrack. 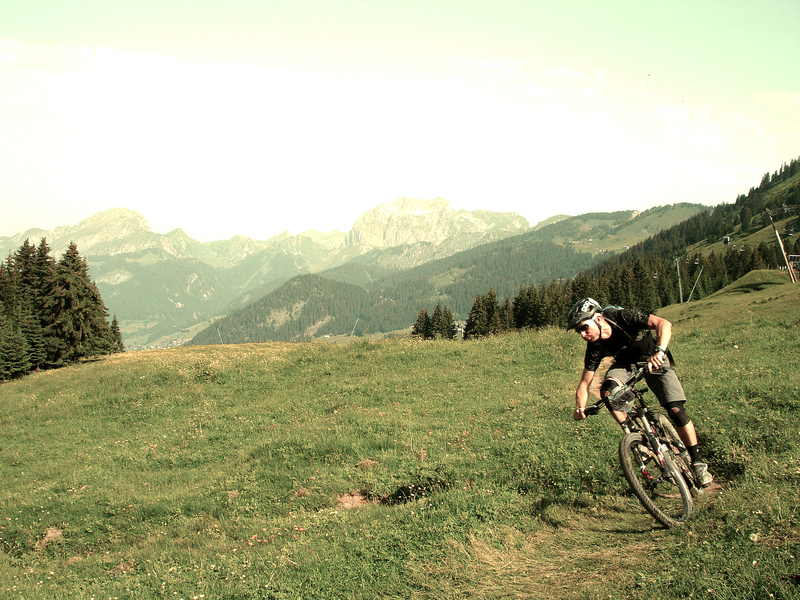 During the race in Samoens we had spent time looking up the other side of the valley back towards Les Gets and trying to scope out its potential. On Tuesday morning we dropped into the newsagents and bought a few local maps, filled our Camelbaks and went off in search of adventure. The plan was to take a lift to the top of Les Gets and then traverse around to the top of the famous Col De Joux Plan and take one of the footpaths down to Samoens. From the Col De Joux Plan we climbed and traversed around to a high point on the ridge and began our descent. The track on the way down went through open fields and woods with a mix of grassy ruts, flowy singletrack, and cow slurry whoop sections! We were really starting to enjoy the trail until we came out to a fireroad, and alas, just like that it was over. We struggled to find anymore singletrack and had no other option but to roll down the road into Samoens feeling slightly cheated. It was so frustrating to loose so much vertical on fireroad! 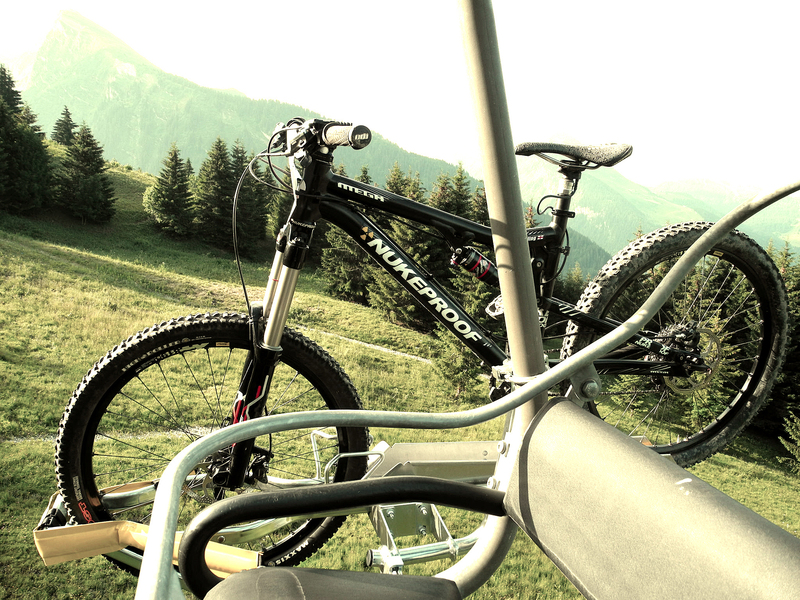 Once in the valley we were faced with the dilemma of getting back to Les Gets. Did we ride back along the valley to Taninges and take the mellower road home, or man-up to the mighty Col De Joux Plane? 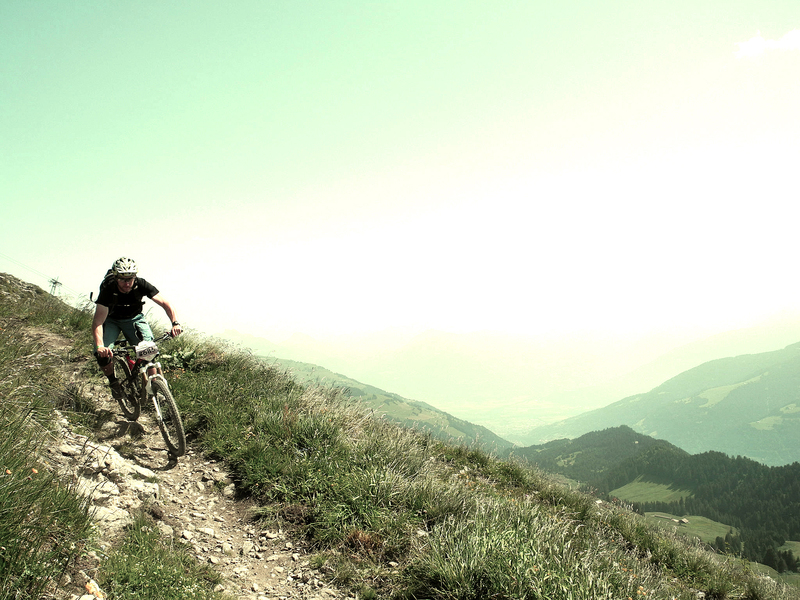 In our heads there really was only one option; the classic Joux Plane road climb. We were well up for the challenge, and the versatility of the Nukeproof Mega meant I was happy to show it a stage of the Tour De France. 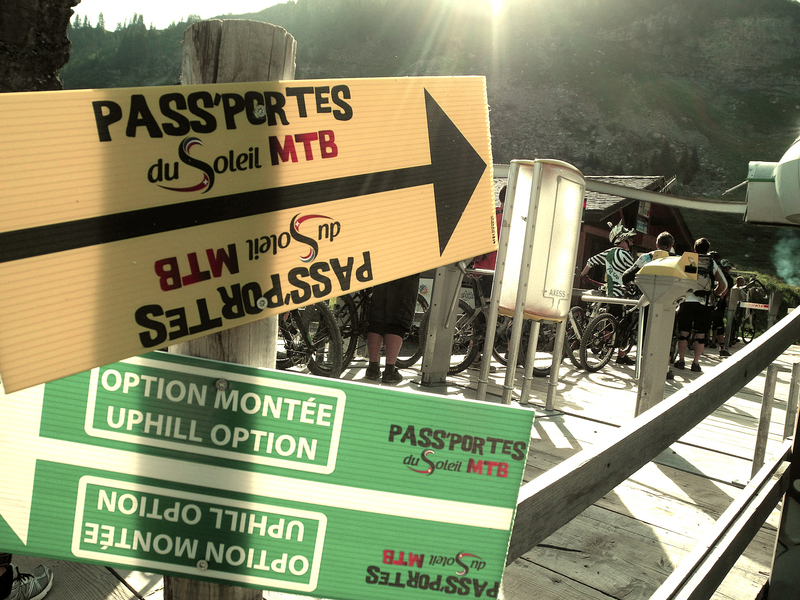 Later on in the week we took part in the PassPortes Du Soleil; an amazing mountain bike event that takes you on a lift-supported tour of the Portes Du Soleil accompanied by another 6000 riders! The beauty of this event is that it is open to anyone with a mountain bike, whether you are an alpine virgin or mountain bike legend like Nico Vouilloz – who we saw riding on Saturday. The tour is about 80km and is mainly made up of fun singletrack and fireroads with some downhill track variations for the more confident riders. At every resort there is a refueling area. And by refuleing area I don’t mean a Powerbar and a glass of water. We’re talking a full-blown buffet meal with beer on tap! 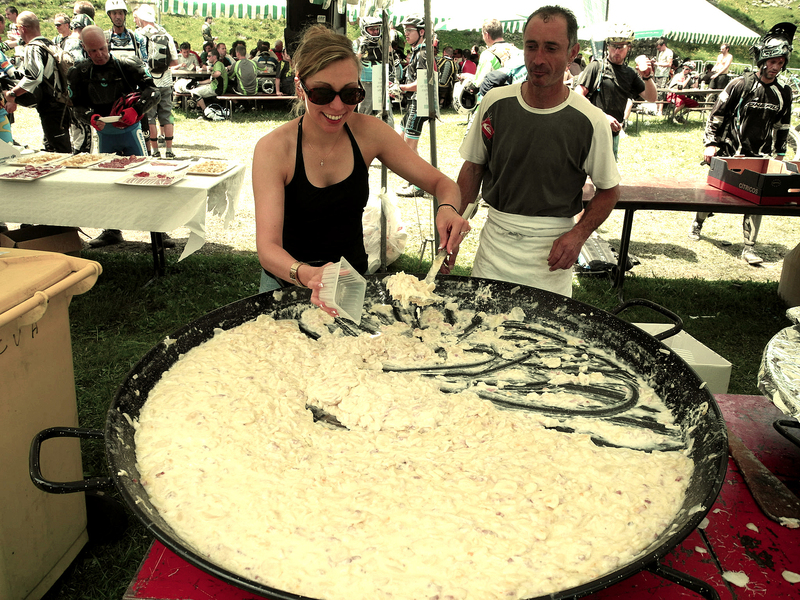 The French and Swiss really know how to lay on an event. This year Morzine was hosting the event and there was a massive trade area with all the top brands showing up with test bikes to ride. There was live entertainment and an amazing atmosphere. 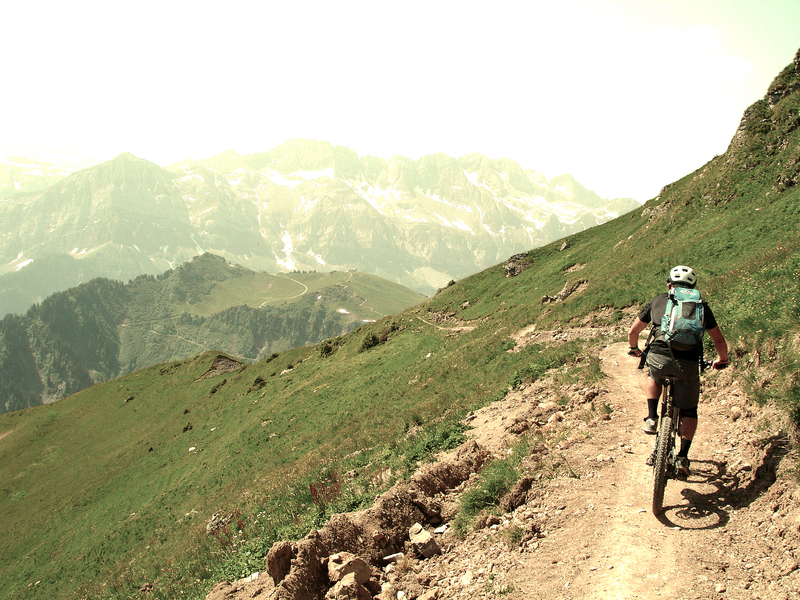 The PassPortes Du Soleil is a brilliant day on a bike especially if you have not been out to the Alps before and looking to get into Alpine riding. And to underline how bike-mad the Alps becomes in the summer, we spent Sunday night watching the Windham UCI World Cup in a bar in Les Gets with not even a sniff about the Euro 2012 final! You gotta love this place!